There are certain jobs that are just plain fun. These jobs don’t have to be complicated or massive. Sometimes they are so simple they may almost seem too simple. 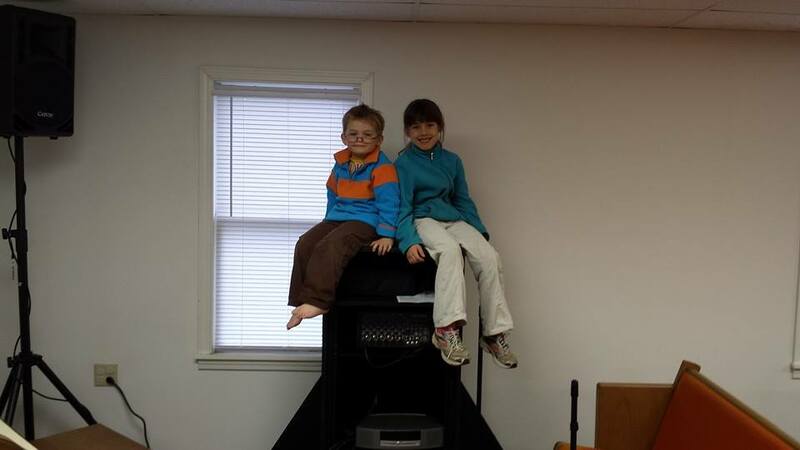 Grace Bible Church in Casey, IL is one of those jobs. Many memories were made on that trip. Some may think that Ministry Tech only wants to take on the “biggest and toughest” jobs, but in fact our focus is not a specific size or dimension. Our goal is to equip, serve and minister to ministries of all sizes. This small church plant was only 17 people strong when they first contacted us, and it immediately became apparent that the tiny and almost non-existent budget would our biggest challenge. 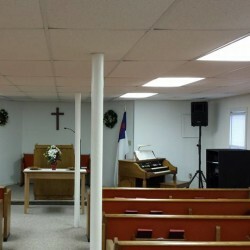 Their requirements were fairly straightforward with a few twists: they needed an audio system that was “perm-portable” since the church did not own the building they were meeting in and could be required to pick up and move to another location. I sat down with our cabinet maker, and we hashed out some sketches for a really flexible rack system that could hold all the gear and roll to where it needed to go whether it be in that building or in another location. The original budget was not going to work, so we worked with the church to establish a slightly higher budget that would allow us to design a quality system that met their requirements. One of the unique challenges in the design of the system was that it needed to have the ability to grow and change as the ministry did. The system needed to be reliable and usable without the need of a dedicated tech staff. And it needed to be simple enough that the pastor would be able come in, turn it on and go with minimal adjustments. To create this system we first built a truly custom rack complete with storage for speakers and stands, using what is arguably one my favorite new tools—the track saw. Due to some of the weird angles and such with this rack a table saw was not sufficient to do the job, so we invested in the track saw. How did we ever live without this? Once the rack was complete we covered it with three coats of truck bed liner, and then while waiting for paint to dry, we had our first hiccup. UPS called to say they were “delayed” so major parts of the system would not be delivered until the install was supposed to be done with! My only option was to drive 100 miles to the UPS hub and pick up the shipment myself. Once we had all the gear, we disassembled the rack for transport and headed out to Illinois. The pastor and his family met us and then in a downpour of freezing rain, ice and snow we trucked all the tools and gear over to the church. While I got pastor and his kids unpacking boxes of gear, I went to work putting our rack back together using another favorite tool—the Kreg jig. After about 2 hours we had everything set up, tested, and ready to go. Even though we had truck troubles and some nasty weather we were able to deliver a quality system and the church loves it. It was a true joy to get to hear the heart of this pastor who works a secular job 6 days a week so that he can do the work that the Lord has called him to. The love this man has for his flock is just such a blessing to see. Although it may sound cliche, no job is too big, or as in this case, too small for Ministry Tech.